Governor LeRoy Collins came along at a turning point in American history. He overcame old fashioned southern values to become one of the "new south" statesmen. He helped to keep Florida from an unnecessarily ugly history regarding integration of the races. I grew up knowing that my father considered him to be a great man. 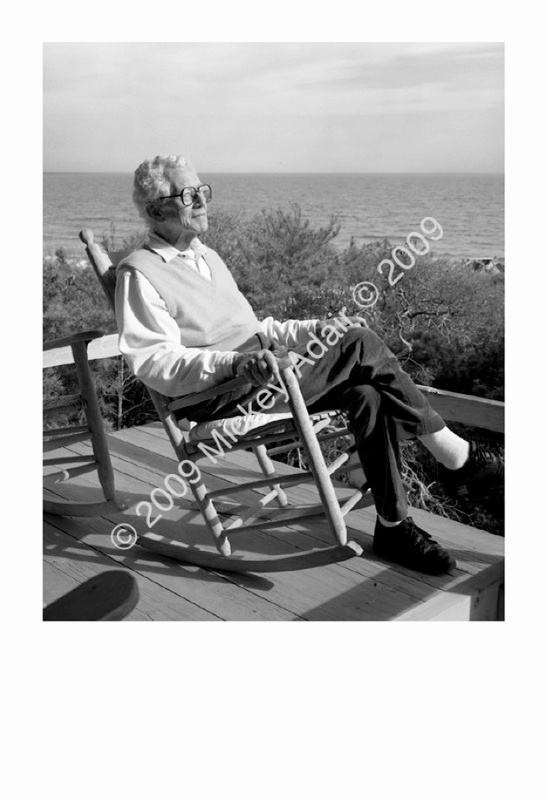 The portrait was made at his retreat on Dog Island at the time of the making of the WFSU-TV documentary Where He Stood in 1990. It was a wonderful day. I actually flew to the island in a small plane and LeRoy Collins, Jr. picked my pilot and me up at the little grass airfield and loaded us up on an a four wheeler and drove the sandy roads to the beach house. I went to elementary school with Governor Collins' youngest daughter and was saddened to hear of her brother's death while riding his bicycle. It was not long after their mother's passing. The former Governor's Mansion was their home until the new mansion was built. It's a former plantation house. I look forward to visiting the estate that is being transformed into a museum. As far as I’m concerned it is hallowed ground.